Please RSVP as we have limited seating and these events have been very attended in the past. 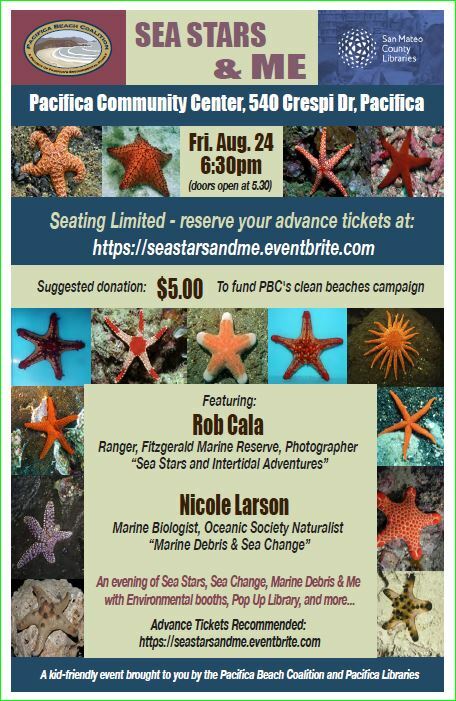 Our 2 knowledgeable speakers Rob Cala and Nicole Larson, will talk about the sea stars and how you can help them and the Ocean with simple day to day actions. As usual our events are free and open to everyone, but we always appreciate donations as they support our field programs and the organization of more educational events.